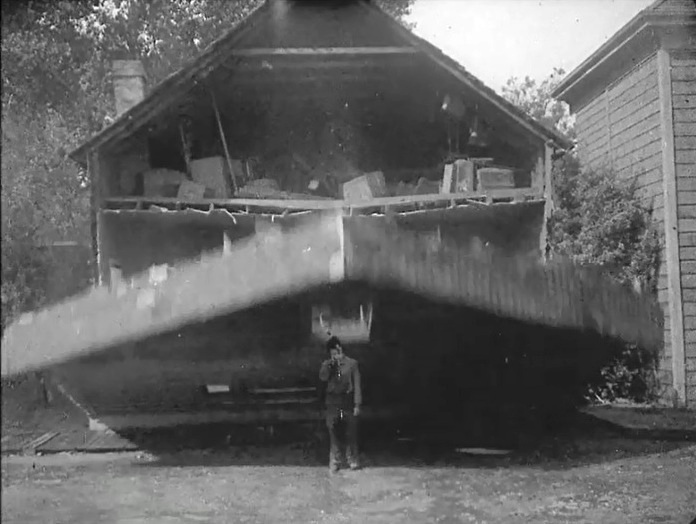 "Steamboat Bill, Jr." is part of our series "Other Favorite Films". This category includes films that do not feature a particular star from our site, but which in our view represent a major contribution of a silent movie to the Arts and Culture of the world. 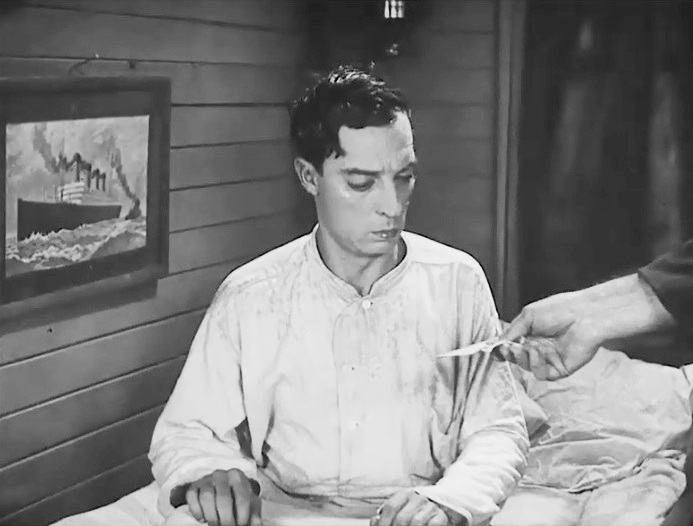 "Steamboat Bill, Jr." is a classic Buster Keaton comedy. It was the last film produced independently by Buster Keaton, who was forced to become a part of MGM, a move that destroyed his creativity and ended his amazing string of short and feature comedy masterpieces that he created for almost a whole decade. 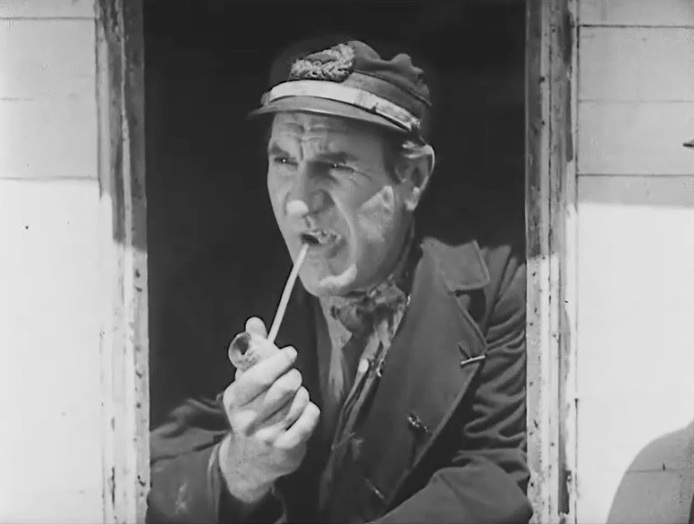 Steamboat Bill (Ernest Torrence) is the grumpy captain of an old river boat, who faces uncertain future when the richest man in town (Tom McGuire) builds a modern steamship. 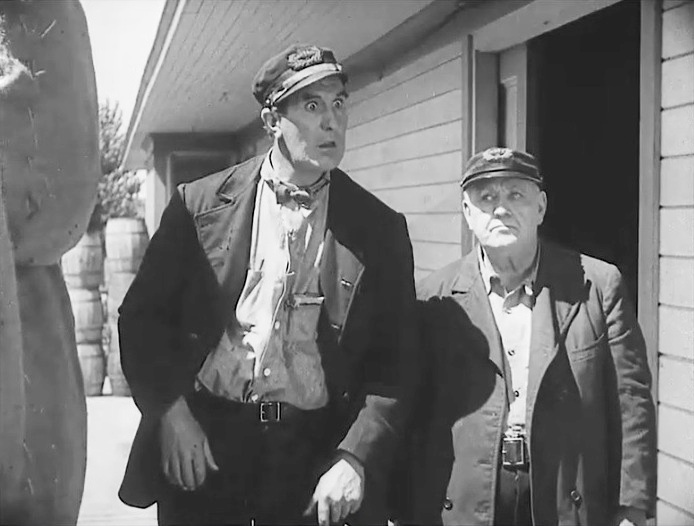 One day Steamboat Bill gets the news that his son (Buster Keaton) will pay him a visit. 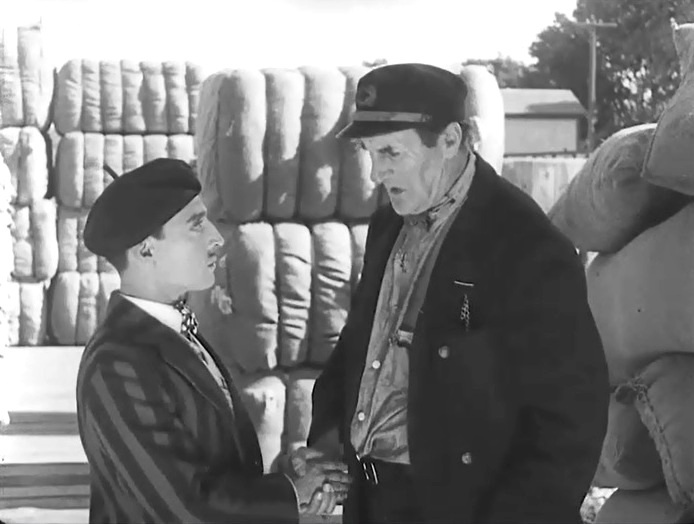 Steamboat Bill, who hasn't seen his son since he was a baby, expects to meet a big and strong man like himself, but is sorely disappointed to see what appears to be a short weakling. Steamboat Bill, Jr., however, gradually earns the respect of his father. 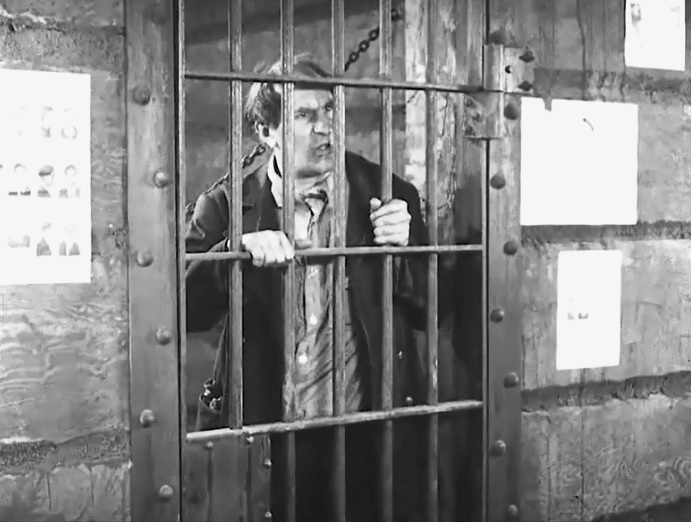 When Steamboat Bill ends up in jail for defying an order banning his unsafe ship, Junior makes a daring attempt to bring tools to prison so that his father can break free from his cell. The attempt is a failure and Junior gets hit on the head and sent to hospital. Then a terrible storm hits town with hurricane winds ripping off buildings and sending them flying into the air. Steamboat Bill, Jr. has the chance to prove that size is not what matters in a man, but strength and courage. 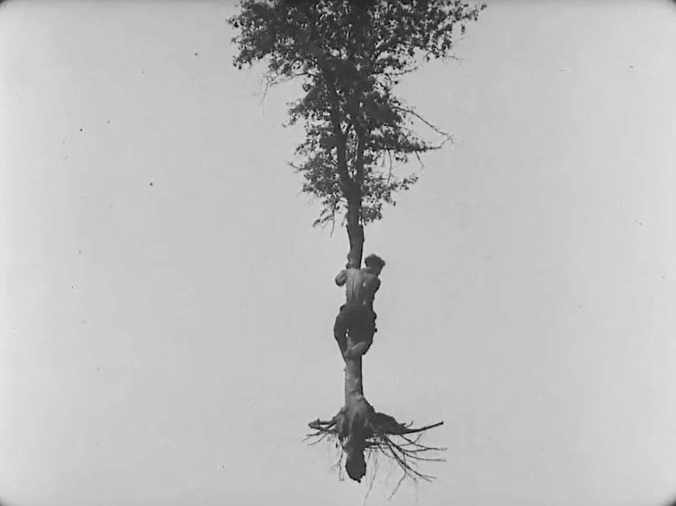 The film contains probably the single most dangerous stunt of the Silent Era and of the history of film-making. 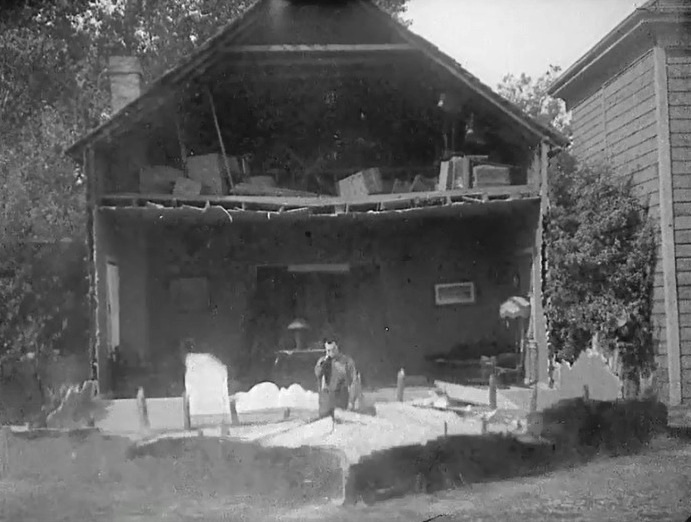 The entire facade of a 2-story house falls on top of Buster Keaton, who survives thanks to standing exactly in the way of an open window. 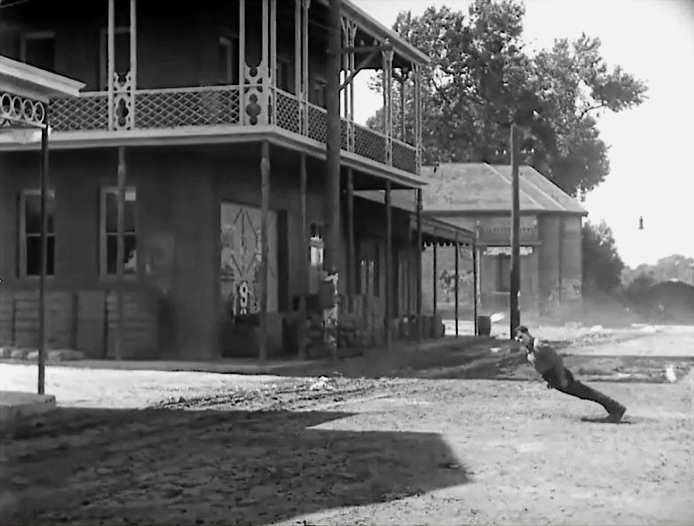 This was all real without camera tricks and he could have been killed if his position was off by a few inches. 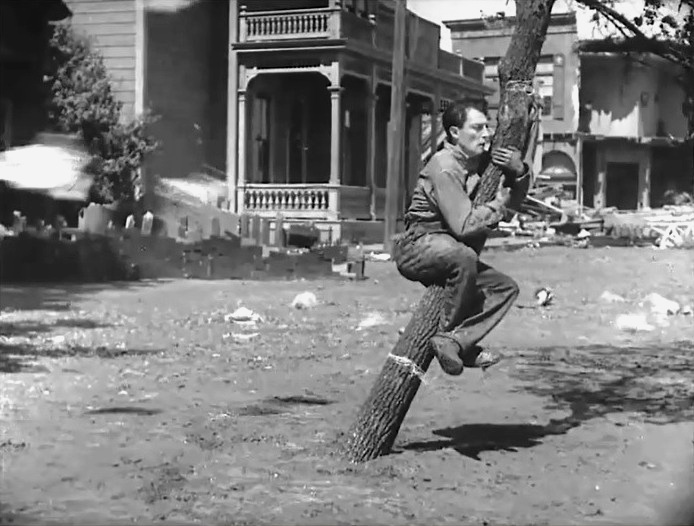 Buster Keaton had many problems at the time: his marriage was collapsing and he knew that after this film he would lose his independence, all of which may have played a part in his decision to attempt this stunt. 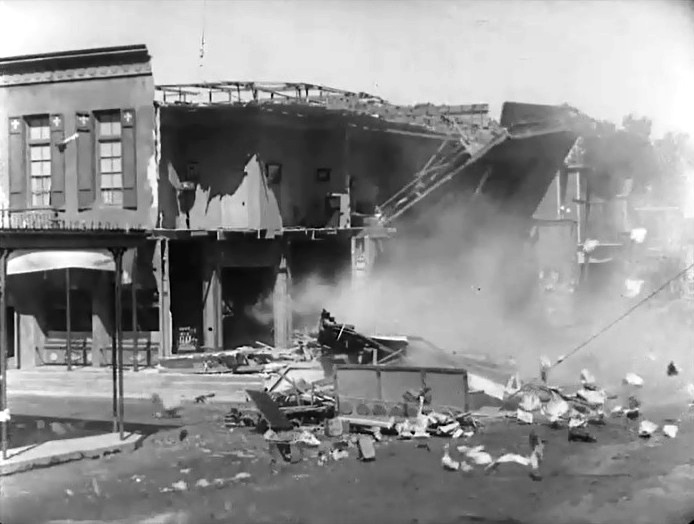 It is said that film crew members left the scene fearing a possible disaster. 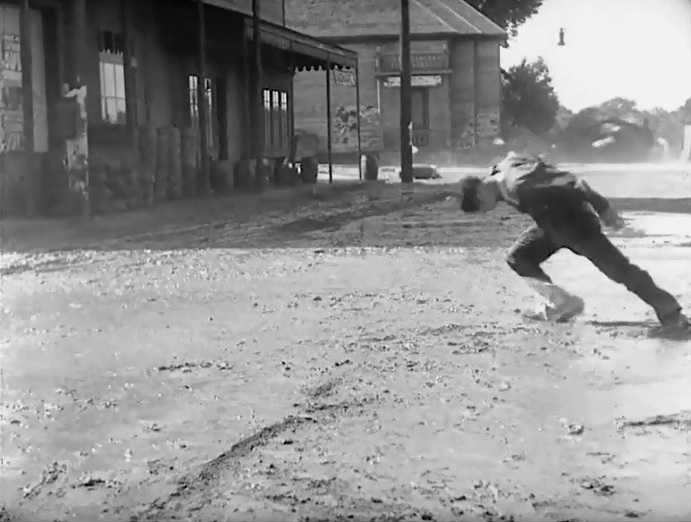 Fortunately all ended well and we have another Buster Keaton masterpiece. 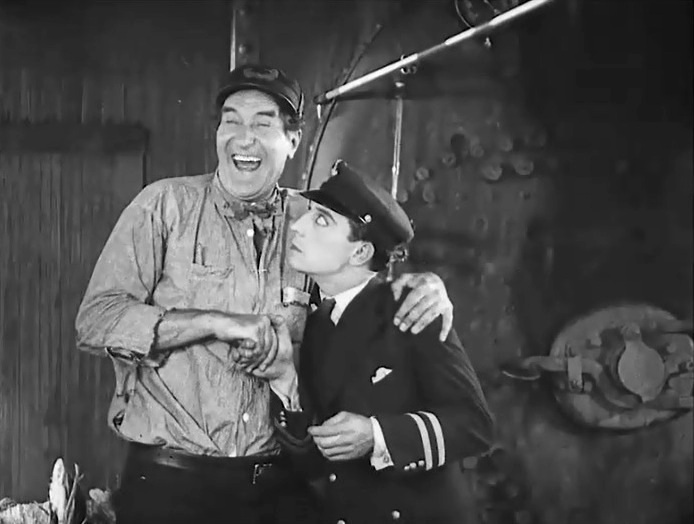 "Steamboat Bill, Jr." is ranked number 24 in the list of The Top 100 Silent Era Films of the influential website Silent Era. In 2016 the film was selected for preservation in the National Film Registry as being deemed "culturally, historically, or aesthetically significant." The film has an outstanding rating in IMDB. 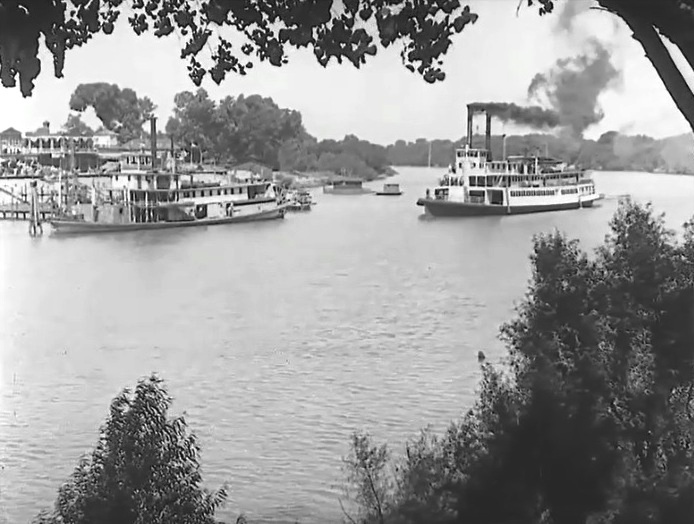 A brand new steamship approaches the harbor at River Junction, Miss. in "Steamboat Bill, Jr." (1928). Ernest Torrence is not excited to see the new ship in "Steamboat Bill, Jr." (1928). 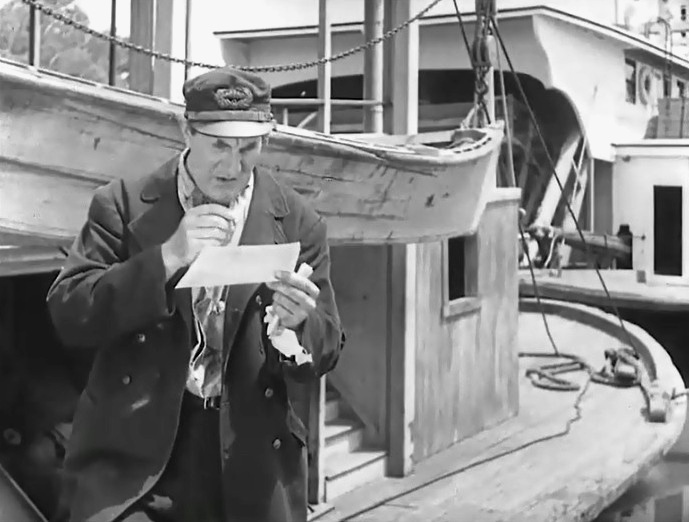 Ernest Torrence reads a telegram from his son in "Steamboat Bill, Jr." (1928). 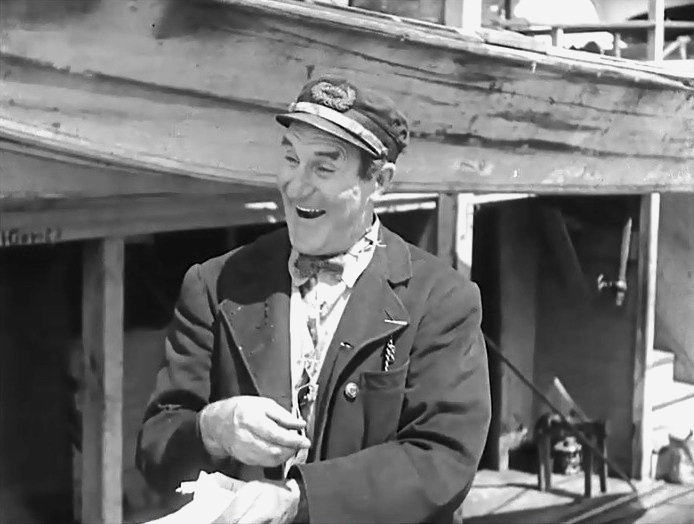 Ernest Torrence is thrilled at the prospect of meeting his son after many years in "Steamboat Bill, Jr." (1928). Ernest Torrence is horribly disappointed as Tom Lewis looks on in "Steamboat Bill, Jr." (1928). 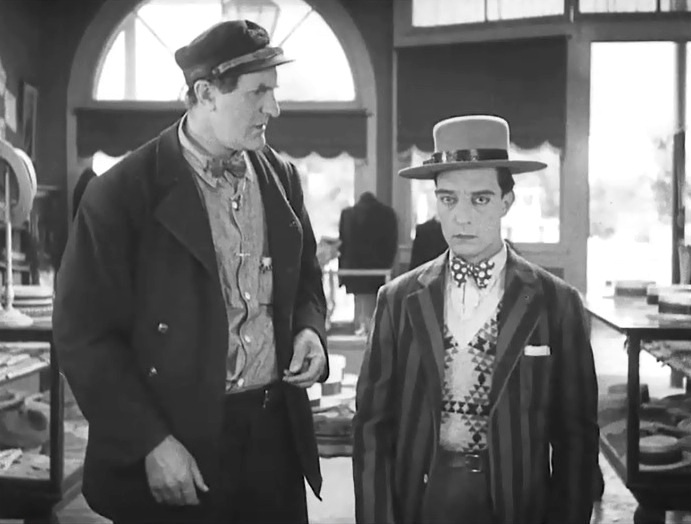 Ernest Torrence is not excited to meet Buster Keaton in "Steamboat Bill, Jr." (1928). 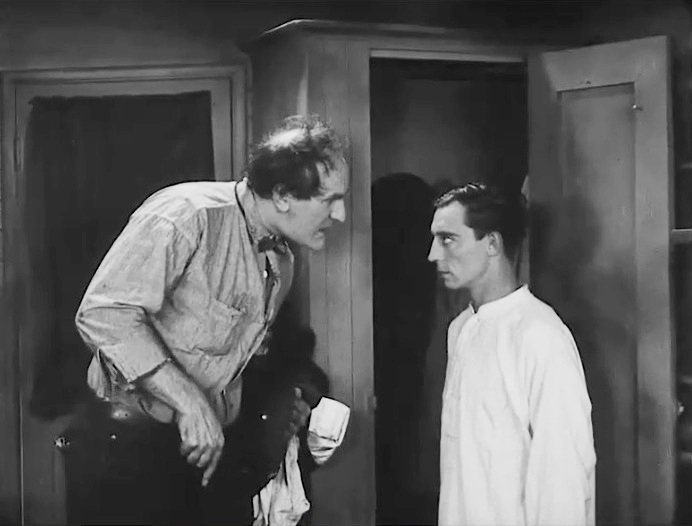 Ernest Torrence drags Buster Keaton into a barber shop in "Steamboat Bill, Jr." (1928). 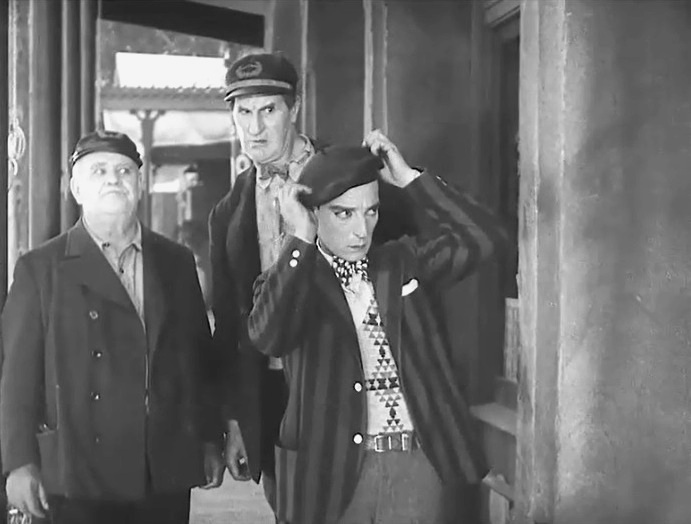 Ernest Torrence and Tom Lewis look on as Buster Keaton fixes his cap in "Steamboat Bill, Jr." (1928). 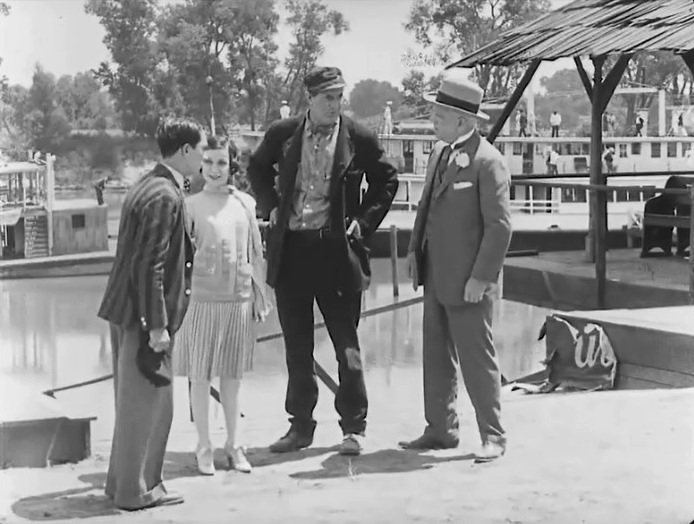 Ernest Torrence wants to fix Buster Keaton with a proper hat in "Steamboat Bill, Jr." (1928). Buster Keaton listens to Marion Byron as Ernest Torrence faces off with Tom McGuire in "Steamboat Bill, Jr." (1928). 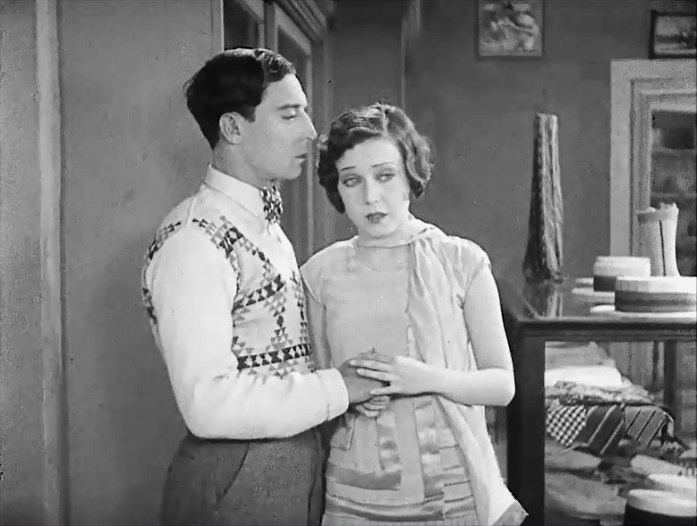 Buster Keaton listens to Marion Byron in "Steamboat Bill, Jr." (1928). Ernest Torrence explains to Buster Keaton that fists are for punching in "Steamboat Bill, Jr." (1928). 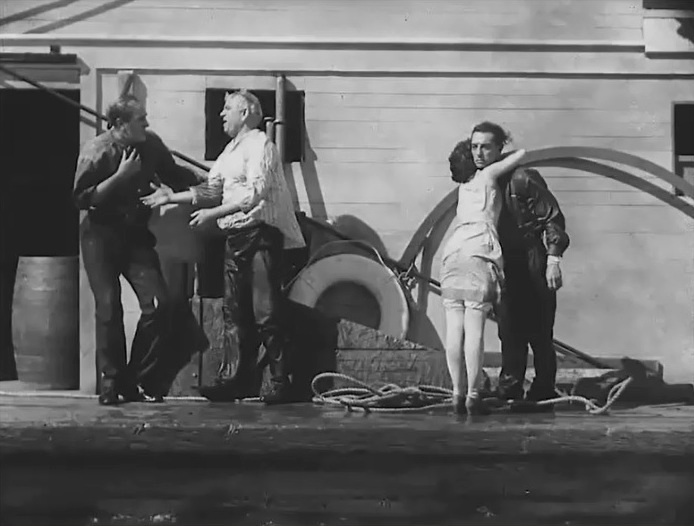 Ernest Torrence delights in Tom McGuire getting soaked as Buster Keaton looks on in "Steamboat Bill, Jr." (1928). 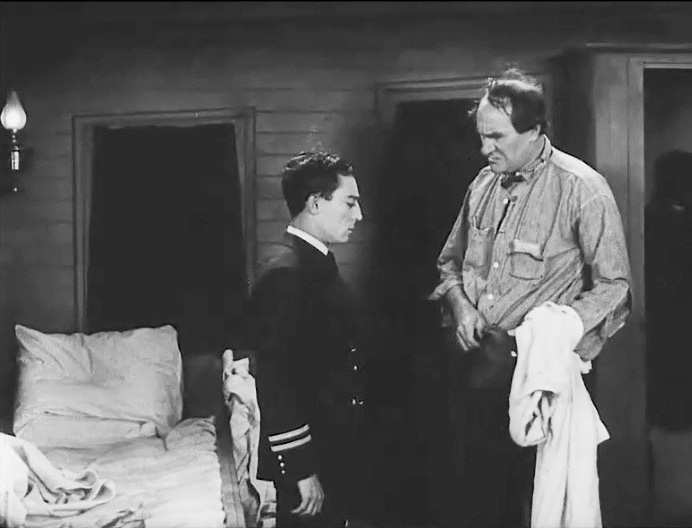 Ernest Torrence catches Buster Keaton trying to violate bed curfew in "Steamboat Bill, Jr." (1928). 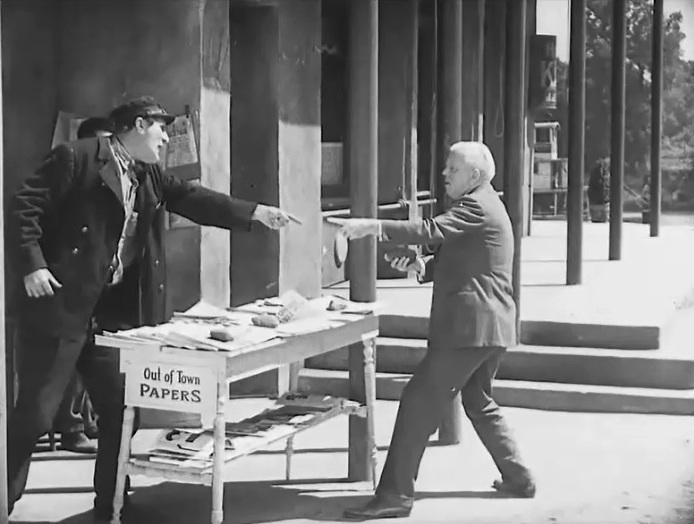 Ernest Torrence reprimands Buster Keaton in "Steamboat Bill, Jr." (1928). 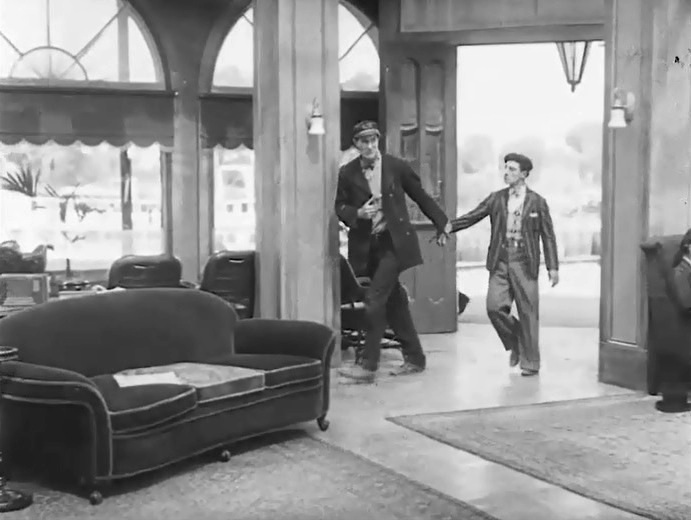 Ernest Torrence locks Buster Keaton's front door and takes the key in "Steamboat Bill, Jr." (1928). 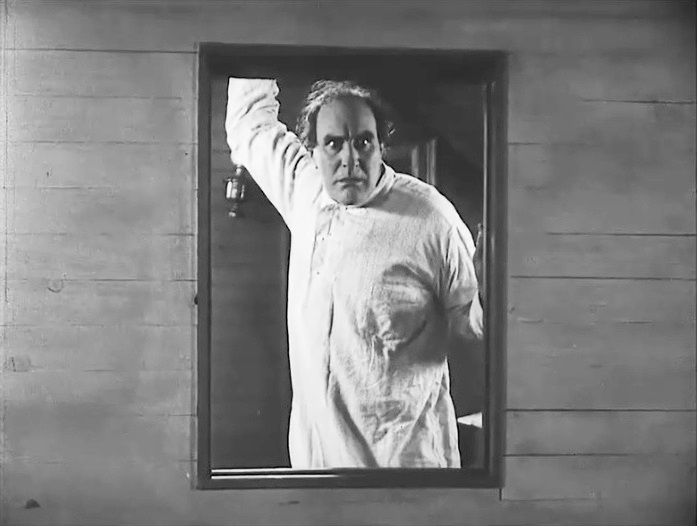 Ernest Torrence is shocked to see that Buster Keaton violated curfew after all in "Steamboat Bill, Jr." (1928). 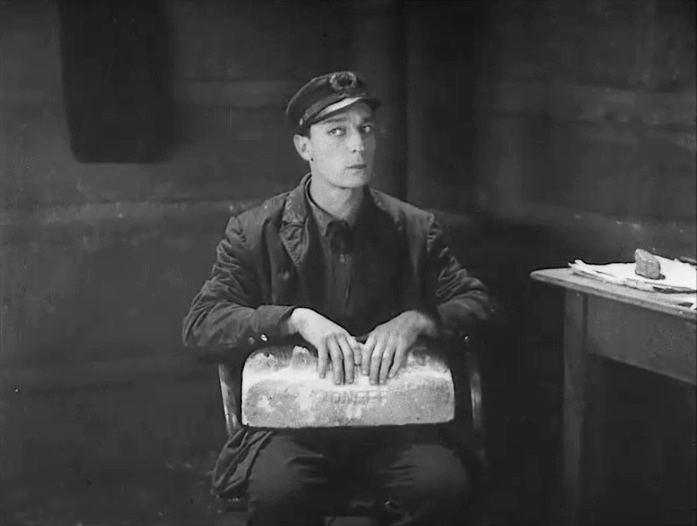 Buster Keaton gets a ticket to go back to Boston in "Steamboat Bill, Jr." (1928). 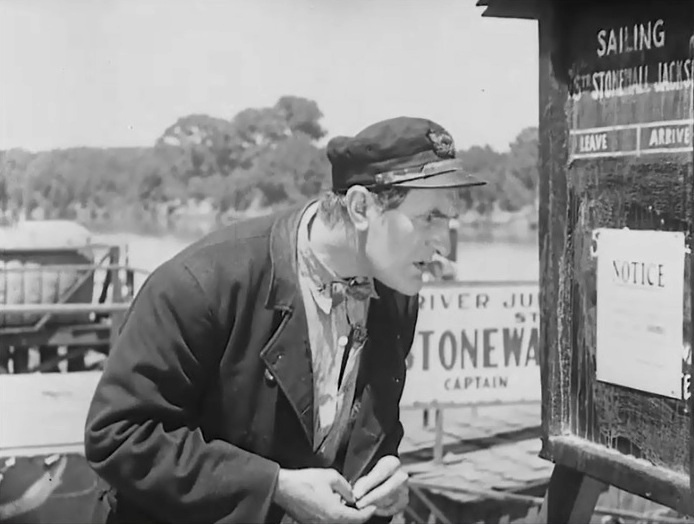 Ernest Torrence reads a notice that his ship is condemned in "Steamboat Bill, Jr." (1928). 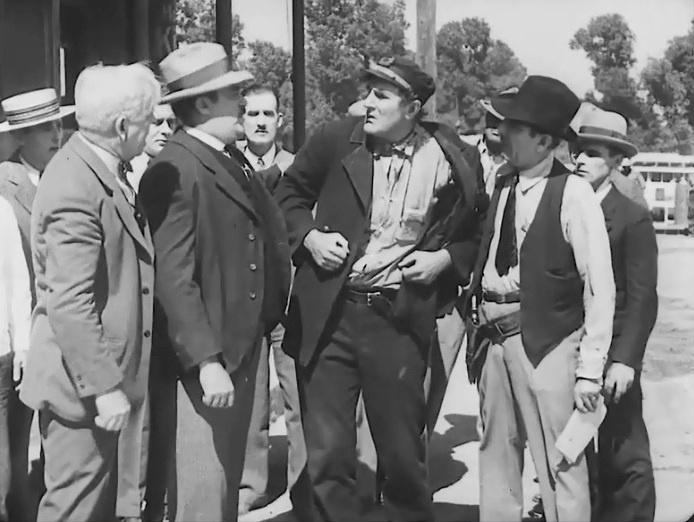 Ernest Torrence gets into a fight with Tom McGuire in "Steamboat Bill, Jr." (1928). 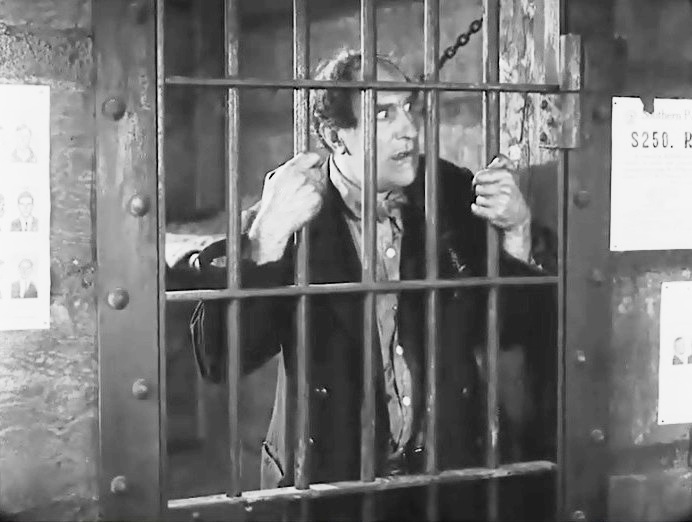 Ernest Torrence is arrested and sent to jail in "Steamboat Bill, Jr." (1928). 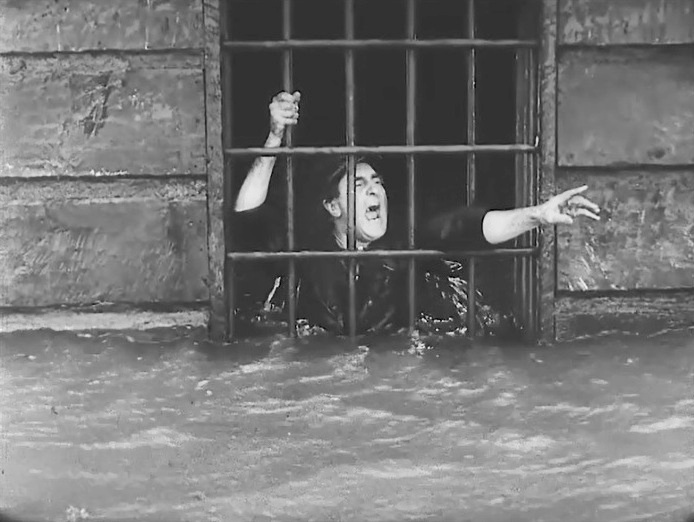 Buster Keaton heads to jail in "Steamboat Bill, Jr." (1928). 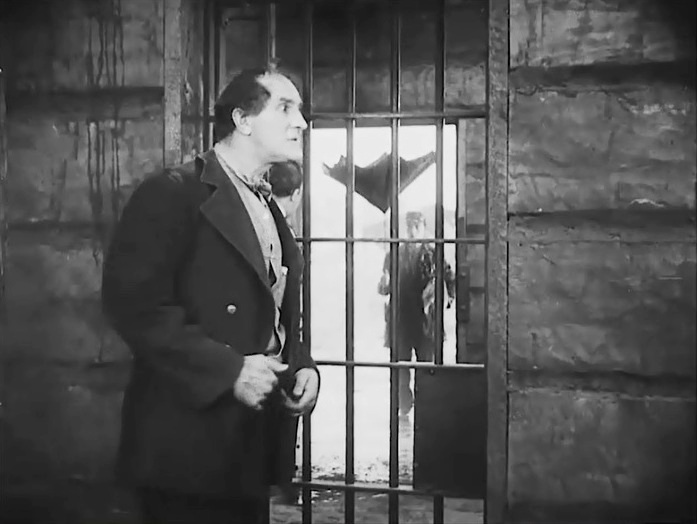 Ernest Torrence grieves in his cell as Buster Keaton shows up in "Steamboat Bill, Jr." (1928). 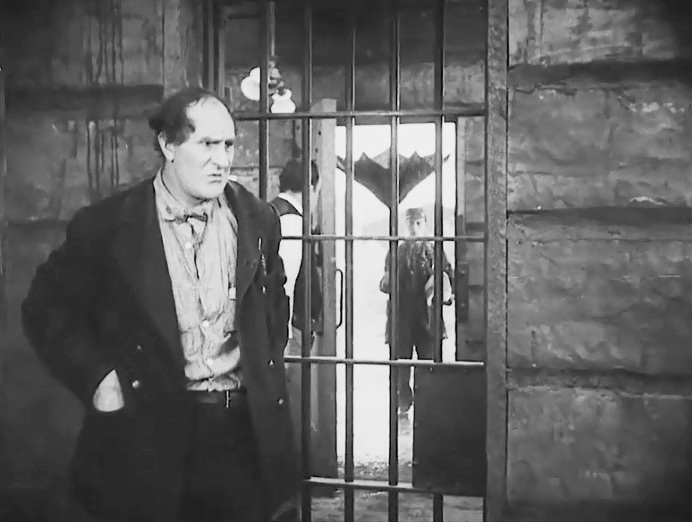 Ernest Torrence gets mad at Buster Keaton for coming to jail in "Steamboat Bill, Jr." (1928). 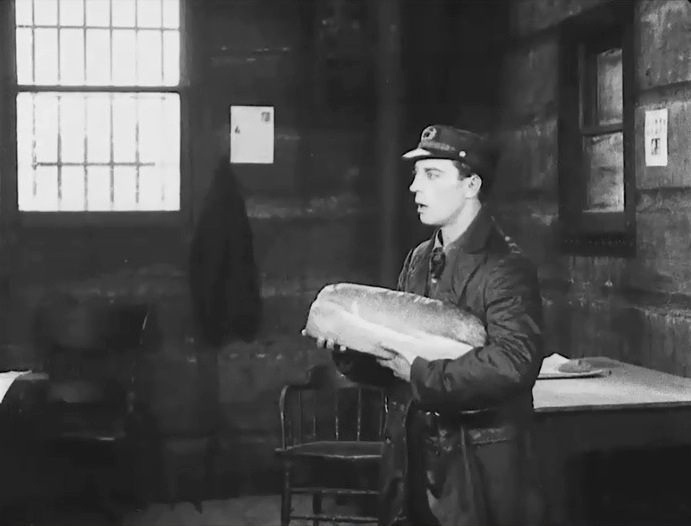 Buster Keaton says he brought a loaf of bread for his father in "Steamboat Bill, Jr." (1928). 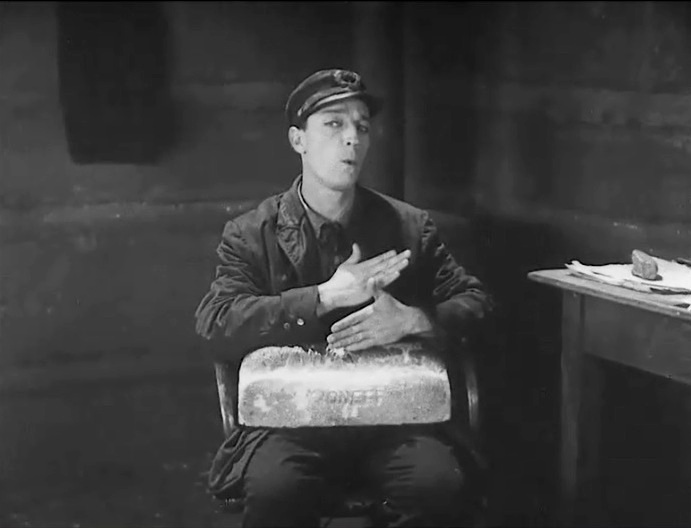 Ernest Torrence doesn't want bread or anything else from his son in "Steamboat Bill, Jr." (1928). 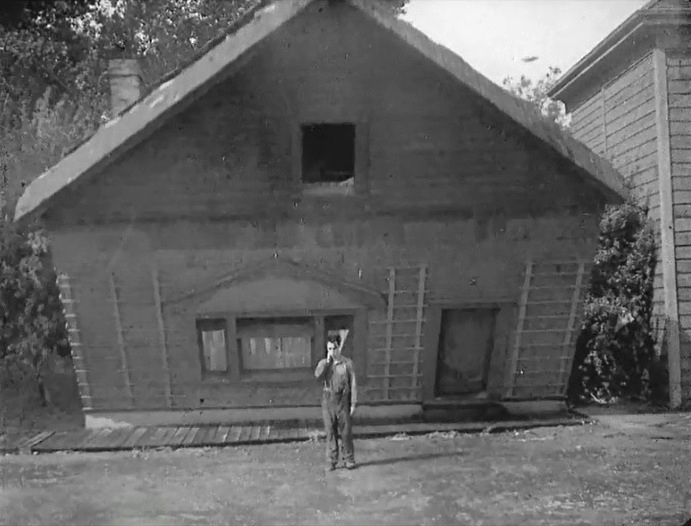 Buster Keaton is obstinate and won't leave in "Steamboat Bill, Jr." (1928). 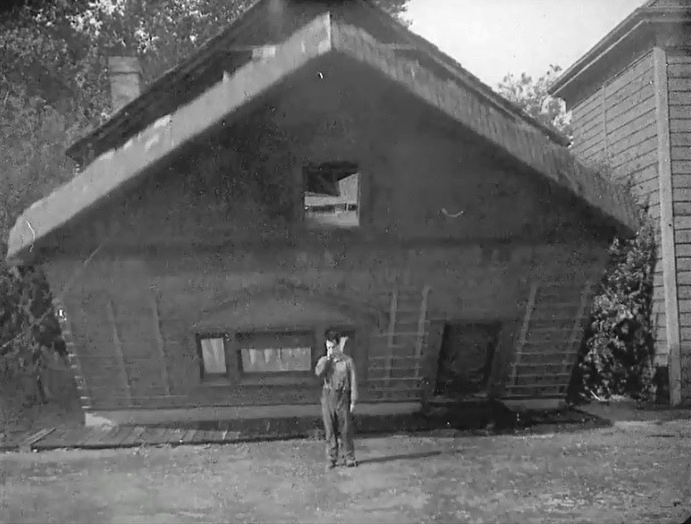 Buster Keaton does a little pantomime in "Steamboat Bill, Jr." (1928). Ernest Torrence changes his mind and now wants the bread in "Steamboat Bill, Jr." (1928). 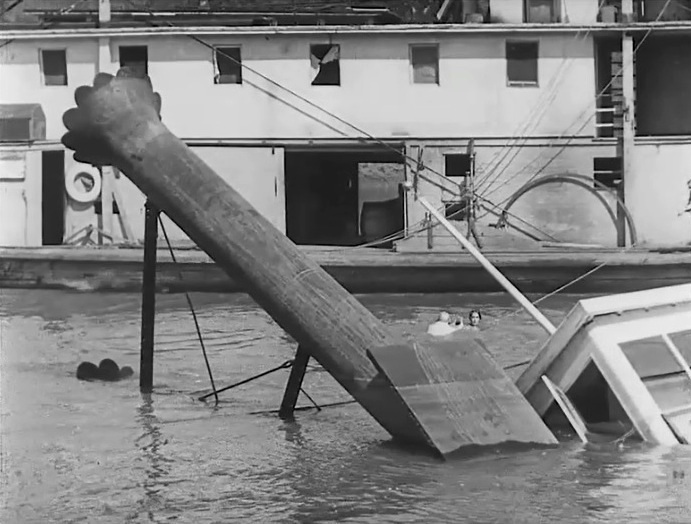 A very strong storm hits River Junction in "Steamboat Bill, Jr." (1928). 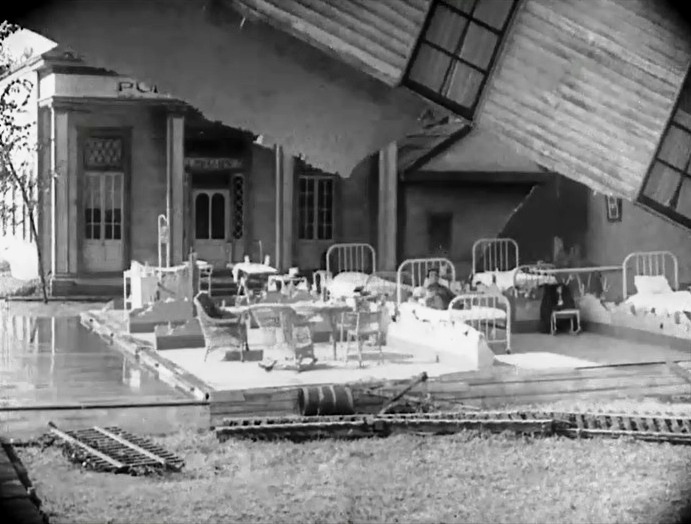 Hurricane winds blow the hospital building up into the air as Buster Keaton sits in his bed in "Steamboat Bill, Jr." (1928). 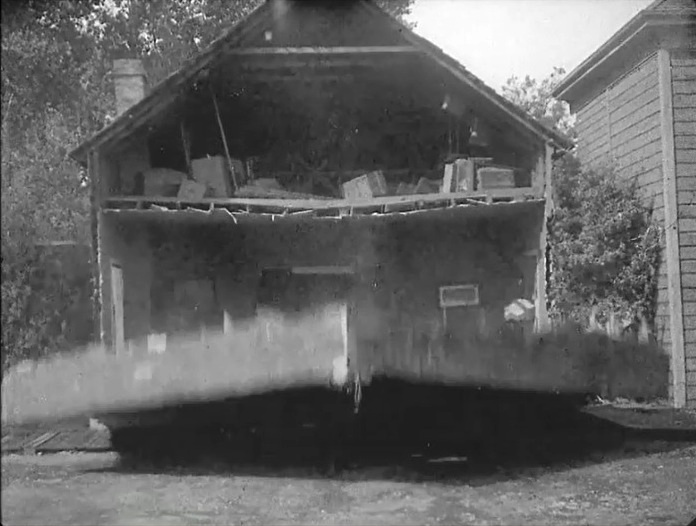 A building facade comes crashing down on Buster Keaton in "Steamboat Bill, Jr." (1928). Picture 8. We can see how miniscule the margin of error was in this stunt. 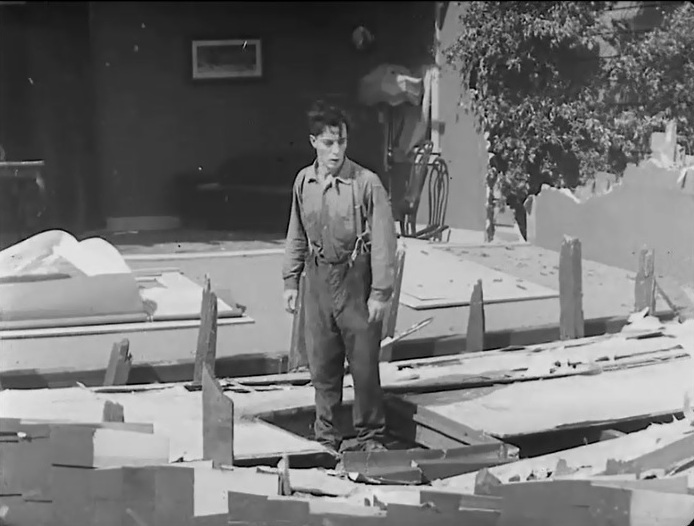 A building facade comes crashing down on Buster Keaton in "Steamboat Bill, Jr." (1928). Picture 11. 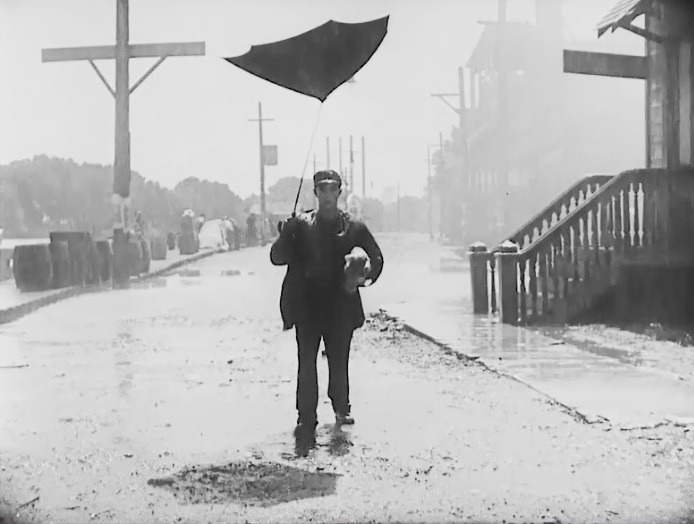 Buster Keaton struggles to stay afoot with hurricane winds blowing in "Steamboat Bill, Jr." (1928). 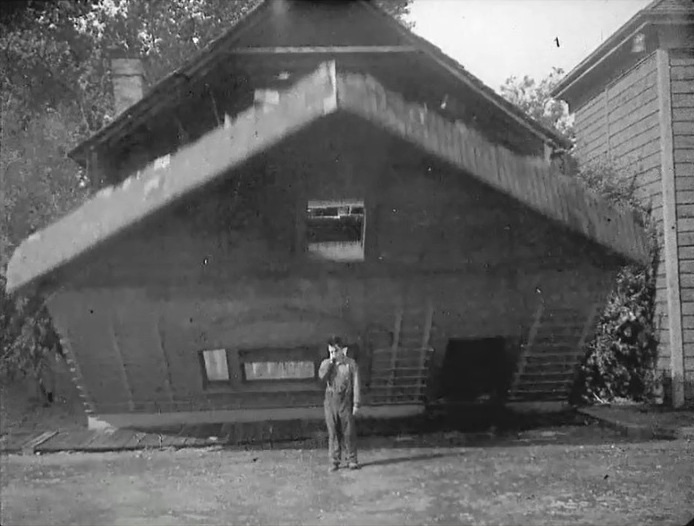 Buster Keaton struggles to keep his balance with hurricane winds blowing in "Steamboat Bill, Jr." (1928). 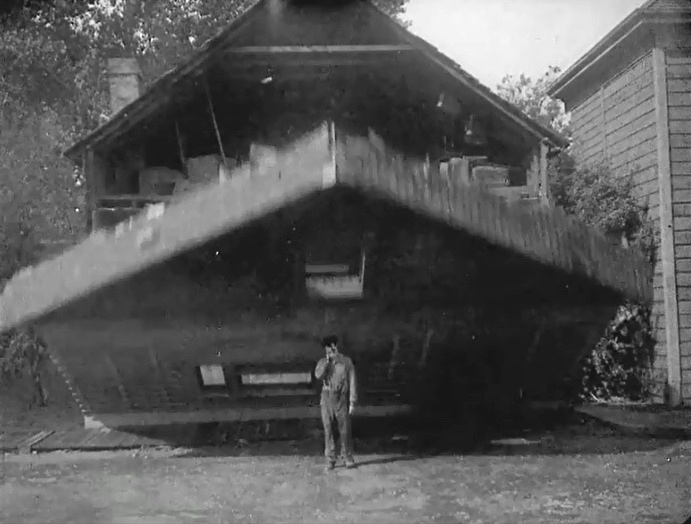 Buster Keaton is finally safe in "Steamboat Bill, Jr." (1928). 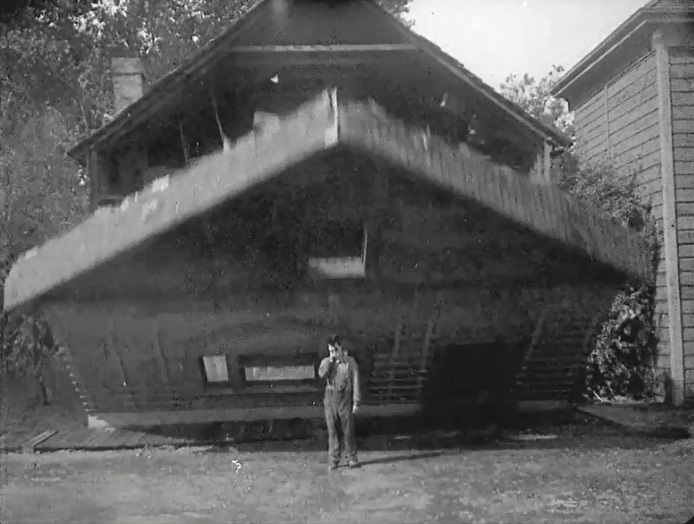 Buster Keaton is safe no more in "Steamboat Bill, Jr." (1928). 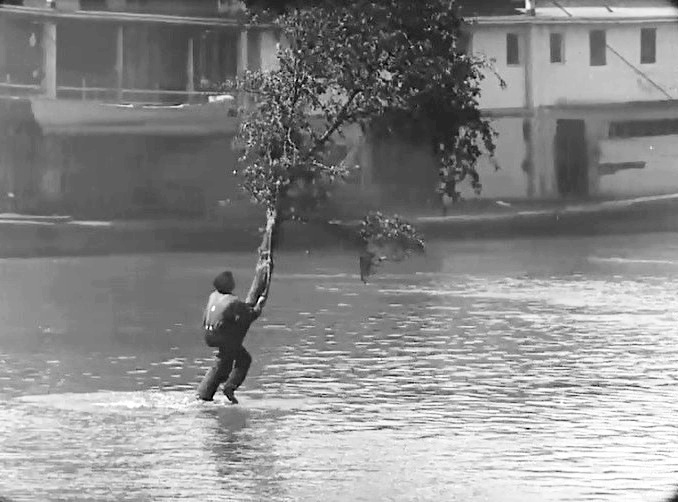 Buster Keaton makes a soft landing in the river in "Steamboat Bill, Jr." (1928). Buster Keaton saves Marion Byron in "Steamboat Bill, Jr." (1928). 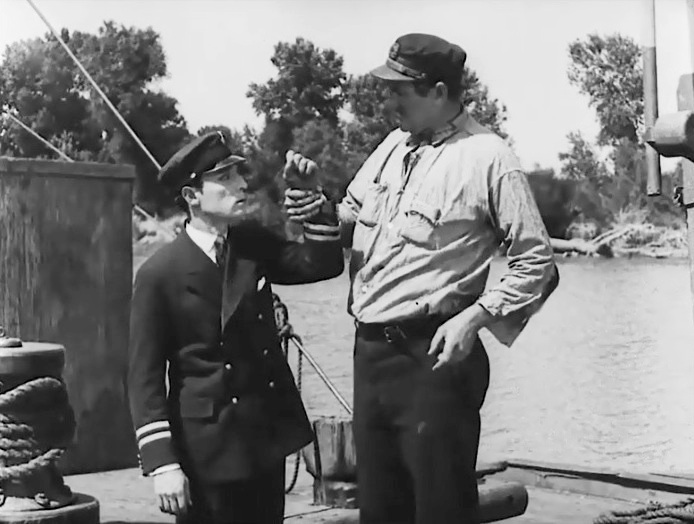 Buster Keaton saves Ernest Torrence in "Steamboat Bill, Jr." (1928). 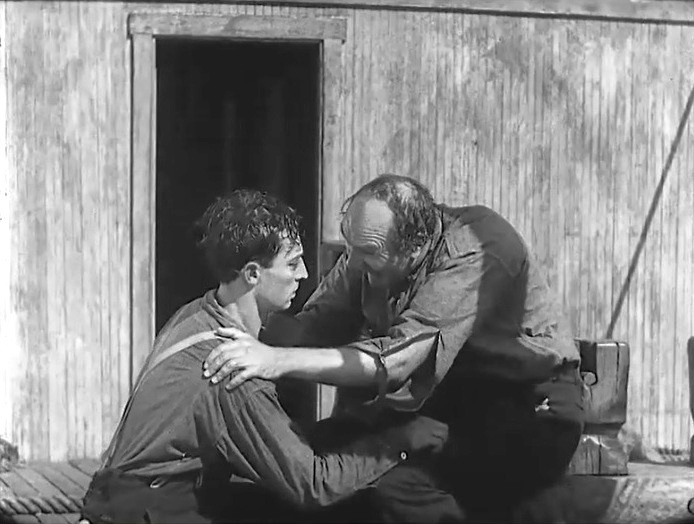 Buster Keaton saves Tom McGuire in "Steamboat Bill, Jr." (1928). Buster Keaton gets a kiss from Marion Byron as Ernest Torrence reconciles with Tom McGuire in "Steamboat Bill, Jr." (1928). 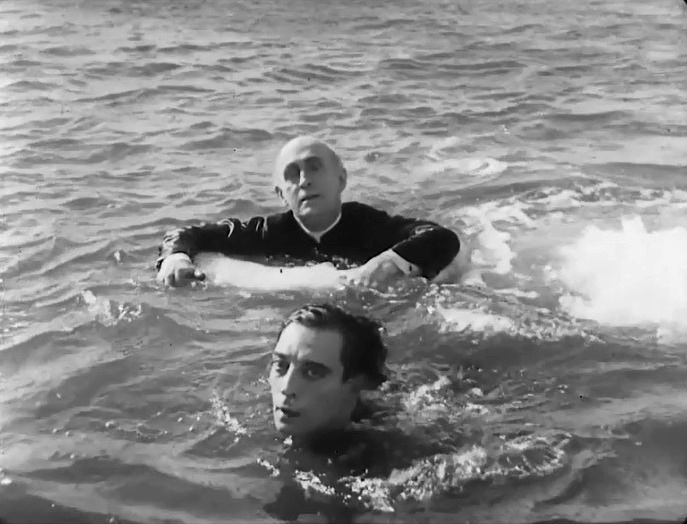 Buster Keaton saves the minister in "Steamboat Bill, Jr." (1928). There seems to be a crack on the Great Stone Face.